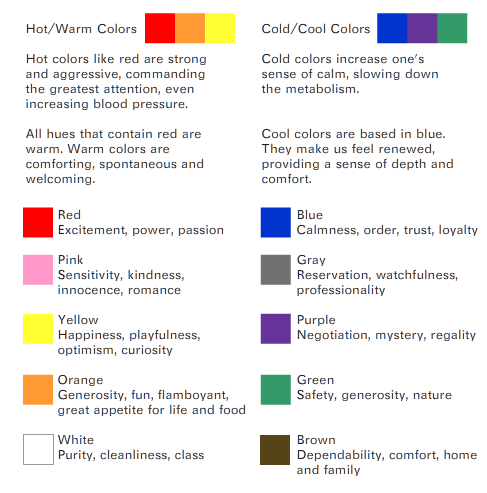 Reactions to color are very strong, whether we realize it or not. Coffee sipped from a blue mug will seem cooler than out of an orange one! Thus, the use of color in print and web design is extremely important. Think of the statements you want to make. Browse through the descriptions below to see how the pschology of color can actually compliment your goals! mosagraphics will combine your ideas with color to create the perfect mood.